The cover of Art of Freedom by Bernadette McDonald with Voytek Kurtyka on Lhotse 1974. The newest great climbing book to be released is Art of Freedom: The Life and Climbs of Voyek Kurtyka by Bernadette McDonald and published by Rock Mountain Books (CA and USA) and Vertebrate Publishing (UK). I read it and I think it’s going to have more longevity in readership than even her previous award winning books. By now, I hope that you are somewhat familiar with Voytek Kurtyka. It’s okay if you’re not. I didn’t know who he was though I associated his name with Robert Schauer’s whenever anyone mentioned the legendary first and only ascent of the West Face, or Shining Wall, of Gasherbrum IV, but I knew so little about him he didn’t yet stand out. McDonald’s award winning book Freedom Climbers (2011) told us more about Kurtyka than any other English language source to-date, to the best of my knowledge. While Freedom Climbers was about many, but certainly not all, of the great Polish climbers of the 1970s and 1980s, including Wanda Rutkiewicz, Krzysztof Weilicki, and Jurek Kukuczka, was clearly evident that Kurtyka was a gifted star of his generation, and possibly of all time. However, Kurtyka diligently sought to keep his ego at bay. He was repulsed by his own fame, which made him quite mysterious, and not just to an American like me but even young Polish climbers in the 1990s weren’t aware of his remarkable alpine climbs in the Himalayas; they thought Kurtyka, who was then in his 40s, was merely a talented rock climber (Art of Freedom 257). 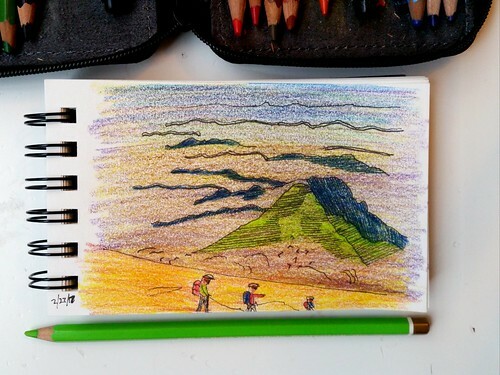 What was to glean about Kurtyka, if one knew to inquire, came from stories from older climbers, which I’m sure sounded partly like tall tales of mountain adventure. Documenting his exploits were easy; they were in alpine journals, and Kurtyka even wrote short pieces periodically. Piecing together his approach, accomplishments, the source of his vision and joy, however was left like a loose mosaic that had fallen to the floor. Kurtyka didn’t mind, because he knew who he was. McDonald, over years pieced the mosaic back together, and it’s the Art of Freedom. McDonald may have been among the actors gently nudging, without coordination, Kurtyka to accept the Lifetime Achievement Award from the Piolet d’Or. Kurtyka respectfully, but emphatically, declined at each attempt not only because of his avoidance of the spotlight, but his values. McDonald, starting with Freedom Climbers, and then with the interview in Alpinist, earned Kurtyka’s trust. She interviewed Kurtyka in Alpinist 43, which provided readers with a more personally revealing look at how Kurtyka approached his climbs and life. It didn’t completely answer my questions about him though; rather, it gave me insight I didn’t have and yet more questions. Art of Freedom answers my inquiries, and yet I am still mesmerized by Voytek Kurtyka. As McDonald makes clearly evident, Voytek Kurtyka was extremely self-disciplined and still wildly passionate. He was also intensely self-aware of both traits, and he understood that if his ego was fanned, whether it was his climbing accomplishments or his knowledge of plants, he could harm his psyche and his beautiful qualities. So in opening up to McDonald was perhaps her greatest accomplishment. The next was how she took his stories, and the historical input from documents and first-hand stories of friends and colleagues to show, not just tell, who Kurtyka was. How did he become such a remarkable and humble alpinist? How did he develop his spiritual sense? What did he do to make a living? Was he truly as beautiful as a person on the inside as I imagined and wanted him to be? Kurtyka came to climbing relatively late, in his early 20s and found a satisfaction in connecting with nature, which he was deprived of in his urban home. He was unconventional and rebellious, perhaps by nature. 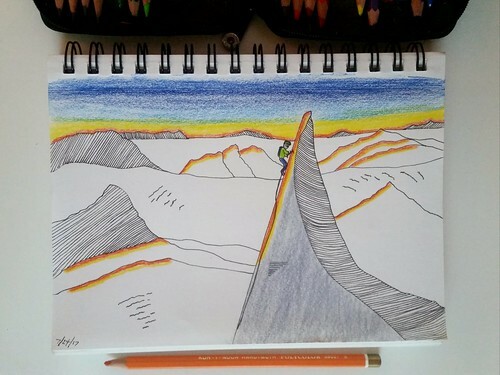 He rarely did things the way everyone else suggested; in climbing he was an original. In Poland, climbing was something that was heavily regulated through the climbing clubs. It had in place a strict regime of course work and advancement toward harder and longer climbs, as well as places authorized and unauthorized to climb. Kurtyka skirted all of them. He learned to climb from friends, climbed wherever he wanted (including being stopped by the police), and climbed solo often. This approach to climbing in Poland’s Tatras carried with him and was refined when he was invited to climbs in Afghanistan and the Himalaya. He learned that climbing siege style, even with Reinhold Messner himself, was in conflict with who he was as a person and a climber. After some trial and error (i.e. life experience,) Kurtyka found that what mattered wasn’t even the summit to him, but the shape of the line he was attempting. As for humility, he forced that upon himself. McDonald presents enough information and stories that we could perhaps argue another perspective. Shoot me an email after you read it if you have one; I’d like to hear your take. While not everyone he climbed with experienced the same feelings Kurtyka did on his climbs, but everyone he climbed with would probably agree that he was in tune with something intangible and part of it might have been that he was simply open to it? Take for example what McDonald describes the “most ethereal experiences of his entire career as an alpinist” during his traverse of Broad Peak. Kurtyka felt “confidence, trust and a sense of unity with space and light.” Kurtyka likened it to a delirium. But Kurtyka didn’t want to let go of it, so he relished in it and paced on a col, not wanting to go into the tent (158). While Kurtyka may have been open to such experiences, he also found them routinely in climbing. His climbing clearly fueled his sense of peace. I’m not sure, but I got the feeling that he believed his ego could squash these memories of these feelings; perhaps as long as he respected that the feelings of confidence and such were not his, that he did not deserve them, he could hold on to them. I understood from Freedom Climbers that many of the Polish climbers smuggled in foreign goods from their travels during their expeditions, but I wasn’t sure what that meant in practical terms. Kurtyka was living under communist rule; so what did he allege he did to authorities? What was involved in the smuggling? What did he trade? How well, financially, did this put Kurtyka? McDonald gives a much more detailed understanding of Kurtyka’s business operations and all of their tedium, adventure, and misadventure. First, Kurtyka would smuggle alcohol into Pakistan where it was only sold on a black market. He’d meticulously pack barrels of expedition gear and strategically place his commodity. He’d pray that even if they were opened the alcohol would go unnoticed. He also played with the guards in unexpected ways but boldly opening the containers and showing the inspectors the contents and swapping a barrel with the alcohol with one that did not. Once in, he would sell or trade his goods for items that were demand in Poland. Later, he expanded to selling goods, such as fashionable sheepskin coats, in France, and chewing gum in Russia. On at least one occasion, he floated barrels down a river back into Poland to enter undetected, holding on to them for the entire journey. The business was good and he only had to do business twice a year to support himself and his climbing. Kurtyka’s friends vouched for him as an employee at a job he never did. Today, he is still an importer and exporter, though probably under more legal conditions. For me, Kurtyka has been almost a mythical figure, both for his climbing accomplishments and his connection to nature and spirit. He may not be as mysterious after reading the book, but I think he is no less intriguing, which is why I plan to read Art of Freedom again shortly when I vacation in Vermont. There is a lot to take in, from his ascent up the Cyclotron, re-reading about Shining Wall, and his rock climbing soloing in the 1990s. I highly recommend this book. Buy it now and read it. Put it on your Christmas list for your friends. 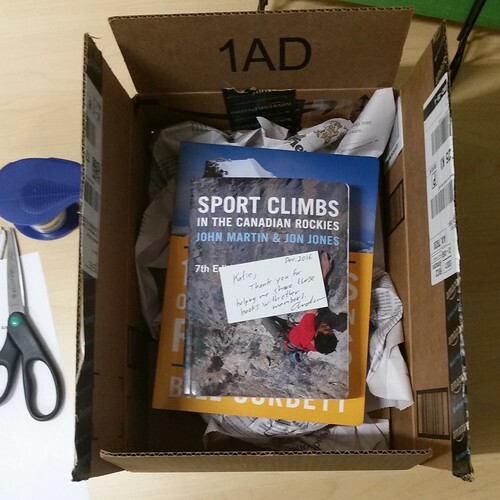 Perhaps give it to your budding climber or your student graduating high school or college next spring. McDonald crafted a significant biography of Voytek Kurtyka that has enough lessons of success, failure, and maintaining joy through it all that goes beyond climbing and can apply to how we can all live our lives. Kurtyka would likely discourage any of us from emulating him, but I think he would encourage us to be confident in our self identities and to seek beauty in others and around our world and guard it. I haven’t updated you about what I have been reading in a while, so this post is long overdue. I have a Goodreads account you can follow, but I usually keep this blog more up to date better than that website. Besides, between what’s happening in housing policy in Washington, DC and around the country (my day job), what’s going on with Bears Ears and the other National Monuments (my volunteer hours), and keeping up with Natalie and the kids (my favorite “job”), it’s a wonder that I have been reading anything. Well, I guess I cut out drawing to read, didn’t I? Trace: Memory, History, Race and the American Land by Lauret Savoy — Katie Ives recommended this book to several of her friends, and somehow I was fortunate enough to be included in that note. Trace is artfully written and complex, and has made me more sensitive to historical perspective. Savoy reviews how our human existence has been shaped by place and race as much as history and experience, perhaps more. As a person who grew up with some privilege, it’s been another treatment of self awareness and even a little therapeutic. Alpinist 58 — This issue celebrates the late Royal Robbins, but also includes a tale of a mysterious cairn and personal stories. I particularly enjoyed “Paradigm Shift” about women that climb and how they are at the upper reaches of trad climbing’s known limits. 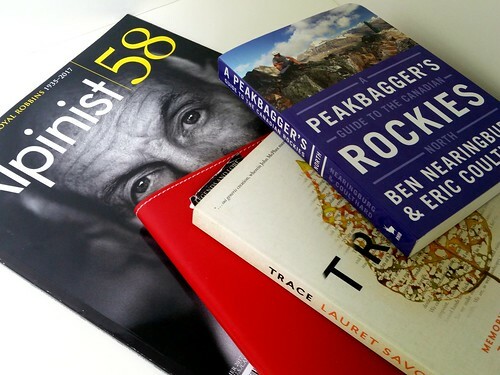 A Peakbagger’s Guide to the Canadian Rockies: North by Ben Nearingburg and Eric Coulthard — I like guidebooks. I just do. And this one covers ground that’s just stunning and accessible to the committed. Nearingburg and Coulthard combine easy descriptions and beautiful colored photographs to direct you where to go around the Columbia Icefield and skywards. 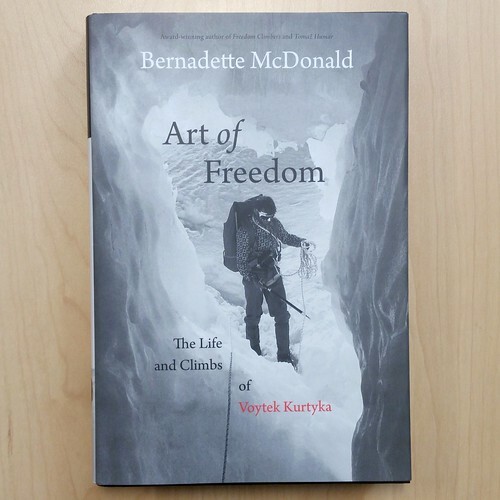 I am also reading Bernadette McDonald’s forthcoming book, The Art of Freedom: The Life and Climbs of Voytek Kurtyka. Rocky Mountain Books release it for purchase at the beginning of August. I’ll have my review for you to read at the end of July. By the way, the next issue of Alpinist (59) will include a Local Hero piece, a tribute to a dear friend, by me; the subject is a secret. It will be on newsstands in September. I also hear that my friend and Alaskan pioneer, Clint Helander, will have an article about his recent first ascent of Mount Huntington’s South Ridge. Look it up! While the literature from the 1900s to the present is rich with mountaineering content, I once assumed that everything from the 1800s all read like something long winded by George Eliot with pages turning over without a period or other final punctuation mark. 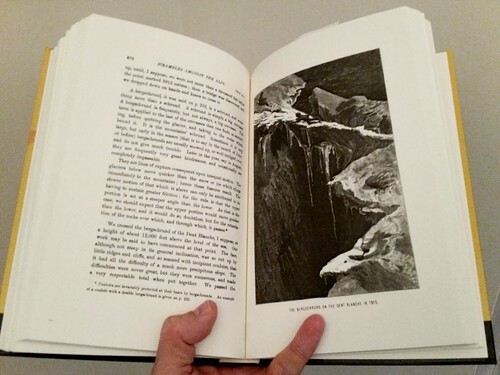 Then someone in a group of climbing book collectors that I used to belong remarked that Scrambles Amongst the Alps in the Years 1860-69 by Edward Whymper (1871) was surprisingly very readable. Well, I regret that I didn’t read it sooner. Scrambles seems to have been the quintessential adventure book for budding mountaineers before Maurice Herzog wrote Annapurna. After reading Scrambles I couldn’t understand why it was out of print; it ought to be like those classics whose copyright long expired and every book publisher knows someone will buy if the edition looks handsome enough. Of course, there’s a trend, supposedly, where people claim to have read things that they never have read and have no intention of ever reading. This is one book, I suspect, people have lied about reading. With all of the secondary sources and authorities citing it, it’s easy to feel like you read it because you’ve gleaned something from other people’s Cliffs Notes, right? Scrambles contains classic stories that have been retold by Robert MacFarlane and David Roberts, just to name just two other modern storytellers. But if you want to be credible on the subject, this book must be on your reading list. Edward Whymper was an English tradesman making a living as an illustrator and engraver, who managed to have the means to travel to Europe and take-in the wonders of the Alps. He visits obscure towns, seeks out guides, makes first ascents, and is party to and witness to the first attempts on the mighty Matterhorn, including the tragic fall. 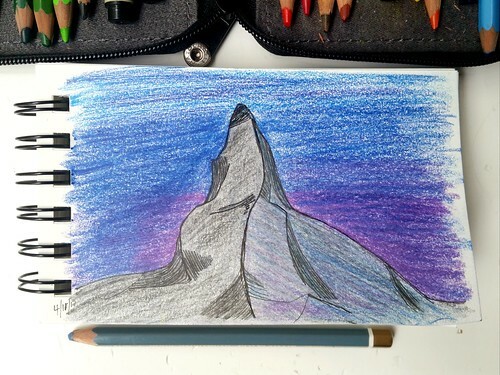 The ascent of the Matterhorn isn’t quite what Annapurna is in terms of dramatics, however, the travelogue nature of Scrambles puts it in a different category altogether. Whymper is surprisingly conversational and an excitable geek, spending a whole chapter on a train through the Alps and the engineering of tunnels. (His enjoyment of the technical, particularly around the Fell Railway and the great tunnel drilled down to hand drawn illustrations of the train’s brakes and sentences like, “This greatly diminishes the up-and-down motion, and renders oscillation almost impossible.” (I skimmed this chapter, as I read it primarily for the climbing.) He also offers readers recommendations on where to stay the night and places to be avoid, because, as he might say it tersely today, the hosts don’t know what they’re doing in the kitchen. One sequence I found particularly amusing was when Whymper was climbing Mount Pelvoux. His guide, Old Sémiond, claimed to have been to the top before and knew the way. Instead, they spent an extra night on the wrong part of the mountain and Old Sémiond continued to insist he knew the way, even redirecting the party to avoid the ice, which he had “a strong objection to.” Whymper became his own indefatigable guide, knowing much more by instinct than his hired help. Whymper’s attitude and language throughout the book is candid and fascinated by the unique (which is still unique today, interestingly, ranging from history of the region to the challenges of climbing,) and at times a little cheeky. While the titles of the chapter, not unlike the title of the book, are matter-of-fact and bland, yet the prose is surprisingly frank, laying judgments about history, terrain, and the company around him. Scrambles Amongst the Alps in the Years 1860-69 by Edward Whymper one of the most charming books I’ve read. It is a combination of period-travelogue and a first-hand account of early climbing in the Alps that cannot be supplemented by secondary sources. It is available through Top of the World Books, the American Alpine Club Henry S. Hall Mountaineering Library (members of the AAC get books shipped for free,) online, and, if you’re lucky, some old dusty copy might even be at your local library. We’ve been told that prior to 1681, mankind thought of mountains as unpleasant boils on the surface of the earth or heaps, or at least some unsightly feature that we were likely to avoid or dismiss altogether. We’ve been told that after 1681, opinions began to shift. This was when Thomas Burnet published The Sacred Theory of the Earth, which we’ve been told that this was the moment when mankind began looking at mountains not as inconvenient land on which to farm but as clues to earth’s past. If something in you rebelled at the thought, because something in believed mountains have always been beautiful, then I have something to tell you. 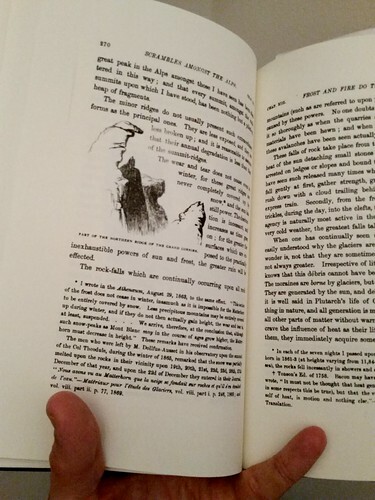 During Christmas break I reread Robert MacFarlane’s landmark and mesmerizing book Mountains of the Mind: Adventures in Reaching the Summit (2003). MacFarlane brought our generation’s attention to the shift initiated by Burnet through this book. My wife noticed that I had underlined passages and had notes throughout in ink. I was rightly chastised. My only defense was that this was how I took notes in college to help me write papers; I didn’t need to copy every line and make a citation, it was just here. She did make me feel a bit guilty, though I could find key passages with ease. On the last page, I found a note I wrote after reading it the first time. It was a mild dissent, though without any concrete foundation. 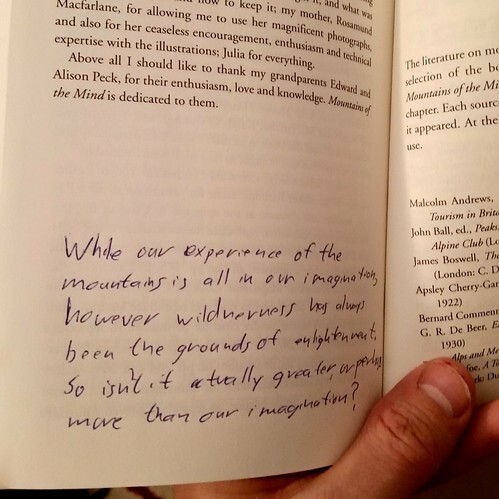 MacFarlane’s thesis was that how we experience mountains is all in out imagination. I agree, even today, that how we perceive nature is driven by how things are framed, but I didn’t share his conclusion entirely. I never bothered to try to prove it, but I felt like there were many examples of wildness (which mountains are a part) that were necessary components for finding enlightenment. I mean, think of all the times some character in the Bible went into the wilderness and saved whole populations of people… Moses, Abraham, Jesus, and even Paul to an extent. I even think Daniel would have climbed a mountain, except he was such a city kid; it’s all that he knew. Among retelling his own climbing stories, MacFarlane does a marvelous job at connecting the dots, starting at the end of his book where he recounts in pointillism-detail George Mallory’s intense obsession with Mount Everest (and there is no doubt that the great climber was obsessed, according to MacFarlane or most other researchers,) and tracing back through time contemplating how Europeans, and Britons in particular, viewed mountains. MacFarlane’s key juncture, where his book begins is with Thomas Burnet in the 1680s. While rudimentary, Burnet was the first to suggest how mountains came to be, which kicked-off a scientific look at the mountains. What followed was science, and romantic poets offered wondrous descriptions of the landscape spurred a movement in search of the sublime. Fundamental to MacFarlane’s view, and retelling of Burnett’s view, is that the mountain landscapes were unwanted tracts of land to be avoided and ignored. A later view offers clues to a conspiracy theory. And we’re all victims. Thanks to Alpinist, I discovered Dawn L. Hollis, a graduate student at the University at St. Andrew’s. She contributed to issue 57 in spring 2017. And she’s offered a few reasons why our belief that Burnett was a visionary was wrong. In the Wired column, Hollis wrote a piece titled “Rethinking Mountain Gloom.” She said that three years ago she gave a speech to the Alpine Club (the original one from Briton,) “to put forth an alternative story — a narrative of mountains that were full of activity and written of in terms of the deepest admiration — long before the development of modern mountaineering.” And this included long before the pivot around 1681. Burnet was an unusual early modern figure… but not because he occasionally found mountains to be wonderful. Rather, he was strange precisely because he shuddered at them, and suggested that they were not God-given. The article is well worth seeking out and paying full price for a back-copy if necessary, particularly as she goes back deeper in time to uncover numerous examples of praise and adoration of mountains from literature to art. Hollis goes on to explain that there appears to have been a sort of cover-up, or revisionist take that used Burnet’s view to promote the value and significance of mountaineering. Through the Alpine Journal, members entered their historic ascents and presented perspective, through a revisionist lens to deliberately cast pre-mountaineering activities in the mountains as antiquity and unenlightened, essentially. More interestingly, Hollis demonstrates evidence that successive writers were influenced by these subtleties and followed suit, perpetuating the myth. I wish we could take a second crack at MacFarlane’s take. Perhaps we’d have to reach back farther than Burnet’s work to make it complete. The story is still true, but as Hollis showed, there’s more to the story. Books were stacked high on knotted-wood shelves, which surrounded a lounge chair and a wide table with a lamp and brass-handled magnifying glass. Three tall windows opened to a thick grouping of firs and the shimmer of a lake through the needles. The books, of course, were all about climbing, hiking, kayaking, mountains, coasts, rivers, and features of earth and nature far away. They complimented the collection of maps and photos that were often left scattered on the wide table. Nothing was from the digital ether. It was all tangible, and most of it was old, dated, and handled by explorers — real adventurers that transcended my fir trees. The collection was as much a lens to view a distant past that still existed far away, but the books, maps, and photos were also something to feel, hold, and even smelled. That was my dream, which as of 10 years ago, has grown stale because much has changed. Since living in the ever-changing and modernizing Washington Metropolitan Area, and Natalie and I had kids, my interest in making that room a reality is almost as dated as the stodgy notion of it. I have embraced reading (and writing) on a screen. I have connected with people interested in climbing history, current events, and climbing literature through social media. The digital ether isn’t so mundane; rather, it’s a lifeline. The books, however, are just as good as ever. But so are climbing magazines and journals. And goodness do we write a lot of them. Not all of them are great, but I like them because they’re all good and all about climbing. Many of the recent great ones were published by Rocky Mountain Books, and they have sent me copies of some of their works to review. I’m grateful that an author you and I know asked the publisher to send her book to me to review. They’ve been sending me beautiful work ever since. Since Rocky Mountain Books has been so generous with me, I had an idea. I think I’m going to share. I am officially letting go of the old traditional dream of a formal library in my home. While I might have one some day, I like my friendship with you more. 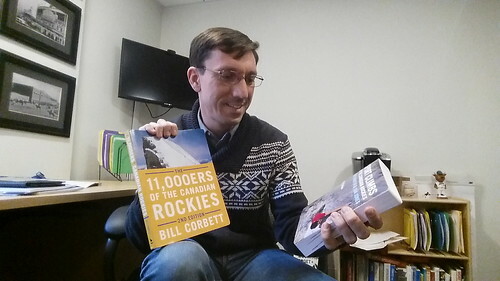 So I am packing up the two latest guides from Rocky Mountain Books and (with their permission) am shipping it to the Henry S. Hall Jr. American Alpine Club Library in Golden, Colorado. Pretty soon, if you’re a member, you’ll be able to check out these books too. The best part is, these books are real. They’ll live on shelves, and visit you in your arm chair. They’ll guide you, explorers and adventurers. Get outside and live. That’s why climbers write, isn’t it? Merry Christmas. I hope you enjoy them, and I look forward to sending some more in soon. Martin and Jones book is new again, this time in color. So I hear that you’re moving to Canada. That’s great! (And I understand that you are dismayed at prospects of the impending Trump administration.) So I jotted down some quick recommendations for you on your move. If you move to PEI, be sure to live near Charlottetown and go have a Gahan beer, but be careful with those sandy cliffs. If your French is up to snuff, you won’t feel like an outsider in Quebec, and there is excellent water ice north of Montreal. If you’re heading to Toronto, there is some modest climbing in Ontario — oh, and you’ll have to get used to buying milk in a bag. British Columbia is diverse and insanely beautiful. But Alberta… ah… Alberta. That’s where you should go. Settle into Calgary or even Edmonton for a “real job” with lots of benefits and paid vacation time, embrace a hockey team, and drive to the Rockies (the real ones) in a couple of hours. There is ice climbing and several amazingly well developed sport and trad climbing areas throughout the Bow Valley. Never heard of the Bow Valley you say? Well, have you heard of Lake Louise, Canmore, or Banff? That’s the neighborhood. 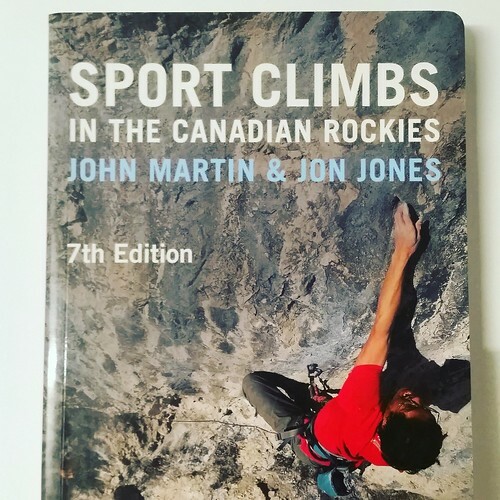 So once you have your visa or immigration papers, you’ll need just two books: 11,000ers of the Canadian Rockies by Bill Corbett, which I recently reviewed, and Sport Climbs in the Canadian Rockies by John Martin and Jon Jones. Both have been updated with new editions in full color this year. There are other guidebooks for the area, but this one has been updated most frequently and most recently. In October 2016 the 7th Edition was published. It also covers the biggest territory; not only Banff National Park of Bow Valley, but that and more in the neighboring and contiguous valleys. In total, it covers over 2,300 routes including climbs in Banff, Canmore, Lake Louise, Kananaskis Country, and the Ghost River region. It’s a genuine techincal guide to the region and the routes. Most of the content are illustrated through topos, rather than photos. There is a reason for this and some practical benefits: First, the valleys are narrow and portions are blocked by other nearby features. Properly descriptive photos are broadly impossible, however, there are photos wherever they were practical. Secondly, with the majority of the images in topos, the guide lets you see in clear terms what might not appear in a photo, such as belay stations, or a chimney that might only be viewed as a shadow. The minimal descriptions in prose make these maps something to get lost in just in planning. Martin and Jones have updated the guidebook with this 7th Edition to account for the radical changes brought on by the 2013 rain-on-snow floods. Some routes start lower, due to excessive erosion, while others are starting much higher because of deposited rock and soil. This has complicated some approaches and the start of some climbs. The authors recommend a long stick clipper in these areas, which the guidebook points out. It’s a beautiful guidebook whether you’re moving to Canada permanently just visiting, or live in the area. Regardless who you wanted to win America’s 2016 presidential election, you can forget all about it here in the corners of the Bow Valley. I also want to thank my good friends in Alberta, Joanna and Jason, who separately extended an invitation to Natalie, the kids and I if we had to flee the states after the election. (And they offered way back in the summer before election day; that makes some good friends!) We appreciated the offer, but Natalie and I decided to stay; the American crags, parkland, and climate needs more voices to weigh in loudly here.